Strength and empowerment for sure, in those verses. And a beautiful, majestic strength in that picture !!! Love it ! Faith is key.....without it, we are nothing. Love, love, love this! 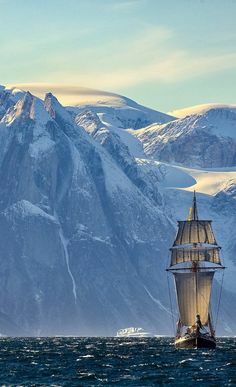 To be on this ship, looking up at those gorgeous mountains!